Live dealer casinos are a cross between a standard RNG (random number generator) online casino, and a traditional land based brick and mortar casino. They combine the experience of having a live in-person dealer with cards, roulette wheel, and die, with the convenience of playing a casino game remotely on your PC from the comfort of your own home, or wherever you wish to play. The idea behind a live dealer casino is simple: a croupier deals a game while being in front of a video camera and this recording is streamed to the player’s PC through a live casino platform. The croupier could either be at a purpose-built studio for streaming casino games, or they could be dealing a game at a live casino. After this footage is streamed to the player’s PC, they are then able to make wagers based on what they see. 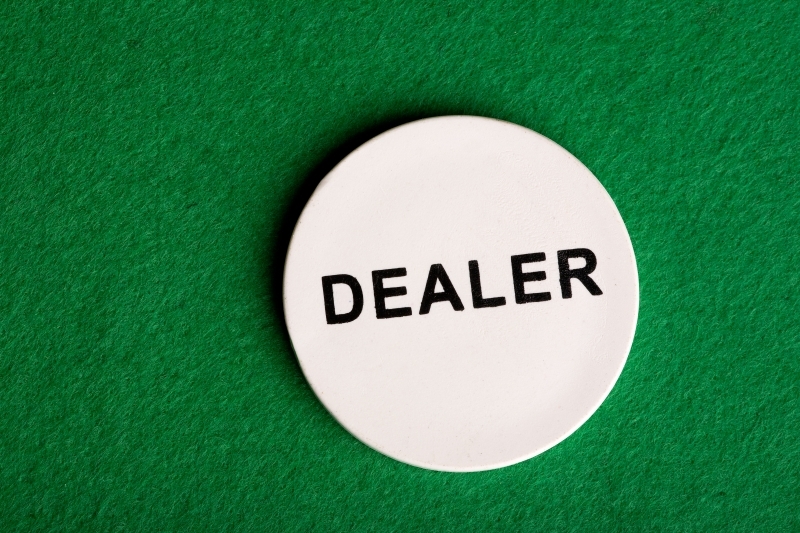 Who Provides The Platform For Live Dealers? As described earlier, players are able to view live dealers through a streaming platform that sends a broadcast to a player’s PC. Often this platform isn’t developed and managed by the online casino themselves, but instead, they’re licensed from a third party. Online casino’s license their software from two main sources. Firstly, established RNG casinos have expanded their services and developed streaming software for live dealers. There are also companies who specialise in providing live dealer platforms for online casinos. This is the most common type of live casino broadcast, where the footage from a casino game is streamed from a purpose built dealer studio. This is where footage is streamed from an actual casino. It provides the novelty of playing a game dealt by a casino croupier. These are casino games that are also broadcast on to cable channels. They have tv hosts and are more like game shows that you can participate in from your TV or PC. Video View: live view of the dealer. Some platforms allow you to resize the view to fullscreen or to a smaller window pane. Chat: The chat box allows you to interact with the dealer and other players. Bet History: A platform that displays your bet history allows you to see the bets you have placed. Live dealer casinos typically offer roulette, baccarat and blackjack. Also, some offer poker in a player versus house setup. Others also include games such as Sicbo. Here is a rundown of the three main popular games offered at online casinos: Blackjack, baccarat and roulette. The house rules used for online blackjack is generally “standard” blackjack rules. Typically, a 6 or 8 deck shoe is used. Bear in mind, online casino’s take measures to prevent players from counting cards with their shuffle policy. Usually, the shuffle will happen mid-shoe, or at regular set intervals. The game is played in either a single or multiplayer (7 seat) format. With the multiplayer format, each player is dealt a hand, and then you are given a time limit to make a bet or hit, stand, etc. With the single format, the dealer deals a single hand to multiple players and then players make their decisions. Usually, oversize cards are used for live casino blackjack so that they are easily seen on the stream. Online baccarat is simpler to play in an online casino because there are no betting decisions from the players while dealing. Like blackjack, however, oversized cards are used to display on the stream so that viewers can view them easily. Online roulette is usually offered in European format (with a single zero on the table).When playing live roulette, you have a fixed time limit to place a bet. After bets have been placed, the video will usually zoom into the roulette wheel so that you can see where the ball lands. Hopefully, by now, you’ll have a good understanding of how live dealer casinos work, the games offered and how to play them online.